Wine lovers will know the name Pax Mahle from his first winery – PAX – which garnered high scores and much notoriety. Though he has always been influenced by French styles of winemaking, it was the bold, powerful Syrahs that first brought praise and attention to Pax in his new chapter as Sommelier-turned-Winemaker. Pax was sourcing fruit from a number of different vineyards within northern California. One year, a particular vineyard had an unusually cool growing season. Fermenting the fruit in single barrels, Pax found that the wines produced from this cooler site had the alluring freshness he had always loved in French wines. He believed they were the kind of wines one could drink every night with dinner, regardless of season. Pax continued experimenting with fruit from cooler growing regions and began picking at lower sugar levels, and in the mid-2000s created the Wind Gap label as an outlet for his new direction. 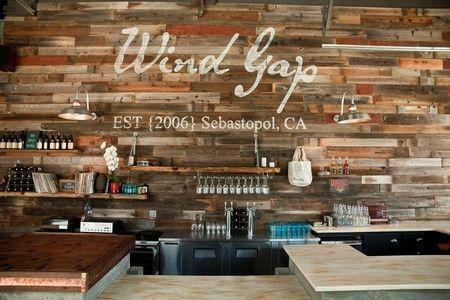 According to Pax: "Wind Gap is all about classically styled wines that represent the new California." Many of the winery's vineyards are planted along or are directly influenced by one wind gap or another. These geological breaks in the coastal hills funnel wind inland and strongly influence the growing and ripening of grapes. It seems only fitting that the name should celebrate the forces of nature that are shaping Pax's wines.